ANNAPOLIS, Md. (CNS) — A 23-23 tie vote in the Maryland Senate March 27 led to a defeat for a bill that would have legalized physician-assisted suicide. “Because of your calls, emails and efforts, physician-assisted suicide will not be legalized in Maryland this year,” the Maryland Catholic Conference told the state’s Catholics in a message posted on its website March 28. The conference is the public policy arm of the state’s bishops. The bill would have allowed doctors to prescribe lethal medication in pill form to patients diagnosed as terminally ill and deemed mentally capable. Patients would have received the prescription to take home and not have been required to take the pills in the presence of a medical professional or family member — or to take them at all. The legislation had been repeatedly introduced in recent years and blocked in committee. But it passed the committee level in February and went on to the Maryland House of Delegates, where it passed in a 74-66 vote March 7. The bill then moved on to the Senate. Three days before the House vote, pro-lifers gathered with an increased urgency for the annual Maryland March for Life in Annapolis. Immediately preceding the march, Baltimore Archbishop William E. Lori celebrated Mass at St. Mary’s Church in Annapolis and addressed the issue with the congregation, which packed the church beyond standing room. That, he said, was just the beginning of the dangers: With rising health care costs, it might mean the government and insurance companies using physician-assisted suicide as a cost-effective alternative to life-saving measures or palliative care. In her testimony, Dr. Marie-Alberte Boursiquot discussed the duties physicians have to their patients: acting in the patient’s best interest; avoiding or minimizing harm; respecting a patient’s autonomy; and promoting fairness and social justice. 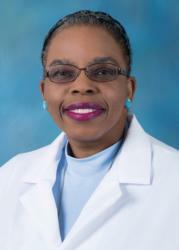 Medical professionals have to safeguard the relationship between a physician and a patient and protect the most vulnerable in society, including children, the sick, the elderly, the disabled, the poor and others, said Boursiquot, who has been a practicing physician in Maryland for more than 20 years and was president of the Catholic Medical Association from 2016 to 2017.